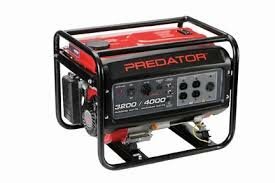 The Predator 4000 watt Generator can power any 1 blower bounce house. It comes with a full tank of gas. We guarantee 5 full hours of use.